I am shamelessly copying this idea from other fellow designers. I have been part of this on a few designers’ groups and loved this idea so much that I couldn’t wait for the new year to begin so that I can start my own birthday club in my group (whoa, that is one long-winded sentence). The idea is quite simple, really. 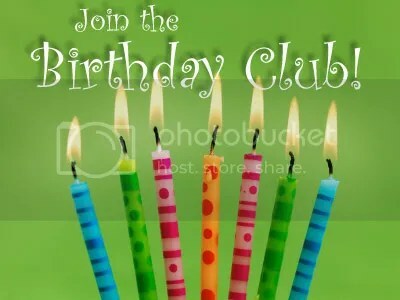 Sign up for the club by letting us know your birthday. We don’t need your birth year, just the date and month. I will choose a small gift every month and send out this gift to all the people celebrating their birthdays that month. The gift could be any of my pattern offered free, a coupon discount, a pattern from any other designer, handmade stitch markers, may be yarn, who knows. Sign-ups never close, so you can sign up any time you wish. Here is the sign-up thread.